Orpheus & Eurydice told through love letters lost between Hell & Earth. First PlAY in our '18-19 Season for Scoundrels. "One of the best 25 American plays of the past 25 years." The story of Orpheus and Eurydice told through love letters lost between Hell and Earth. Is this show appropriate for my child? “Eurydice” is presented by special arrangement with SAMUEL FRENCH, INC.
Kathleen Cannon as Eurydice. Photo by Tim Fuller. “(Claire) Mannle has created a sort of ballet that moves beautifully with Ruhl’s poetic language. This is a production that is sad and joyous — just as memories can be. It should be seen." — Kathleen Allen, Arizona Daily Star. Adam Denoyer (Orpheus) and Kathleen Cannon (Eurydice). 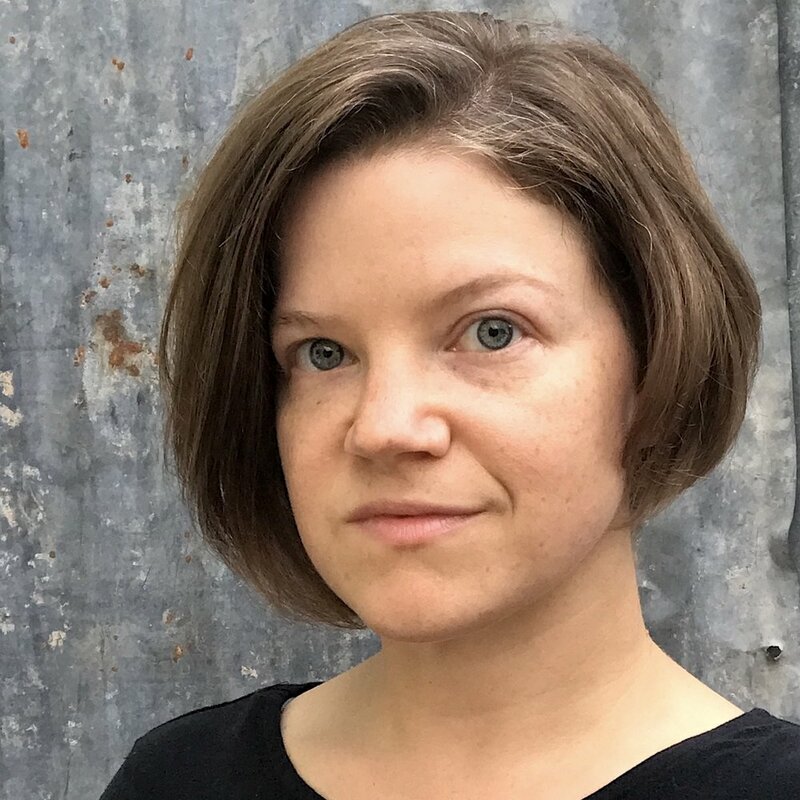 Claire Marie Mannle (Director) is excited to return to The Scoundrel & Scamp this season after directing Mr. Burns, A Post-Electric Play and performing in The Yellow Wallpaper. Her recent directing work includes an adaptation of Euripides’ The Bacchae (SITI Company’s Skidmore Intensive) and Nor Any Drop to Drink, a devised play about water issues in the Southwest (UA Studio Series). As an actor, she has performed around town in King Lear, The Grapes of Wrath, Macbeth, and The White Snake at The Rogue Theatre and in The Tempest andThe Comedy of Errors for Arizona Repertory Theatre. She is an Instructor for the School of Theatre, Film, and Television at The University of Arizona. 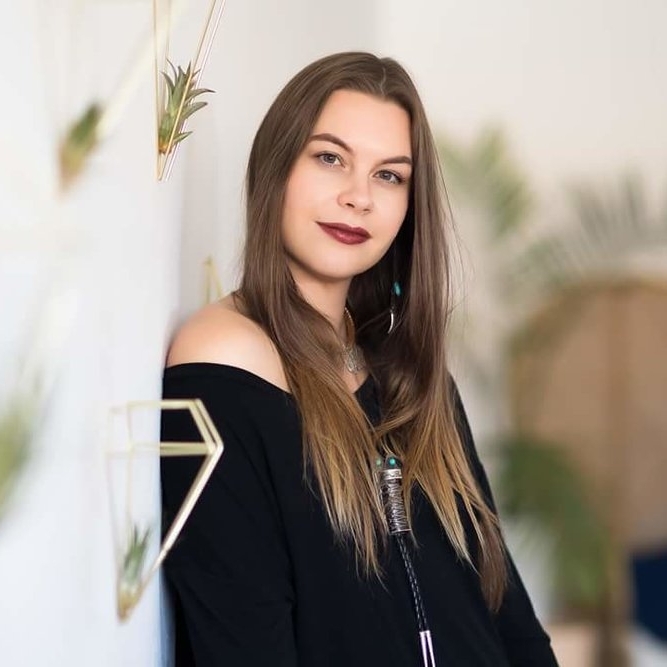 A New York City native raised in the Midwest, she came to Tucson via Los Angeles where she worked with The Grand Guignolers, Cornerstone Theater Company, A Noise Within, The Antaeus Academy, and SITI Company. She has her MFA from the Dell’Arte International School of Physical Theater and her BA from Smith College. Vicki Brown (Music Director) is happy to be joining the Scamp & Scoundrel for this production. She has worked with The Rogue Theater productions The Grapes of Wrath, Bach at Leipzig and Celia, A Slave. Collaboration is a cornerstone of her work, and she thrives on the exciting alchemy of working with a variety of artists, including choreographers, dancers, filmmakers, writers, painters and actors. 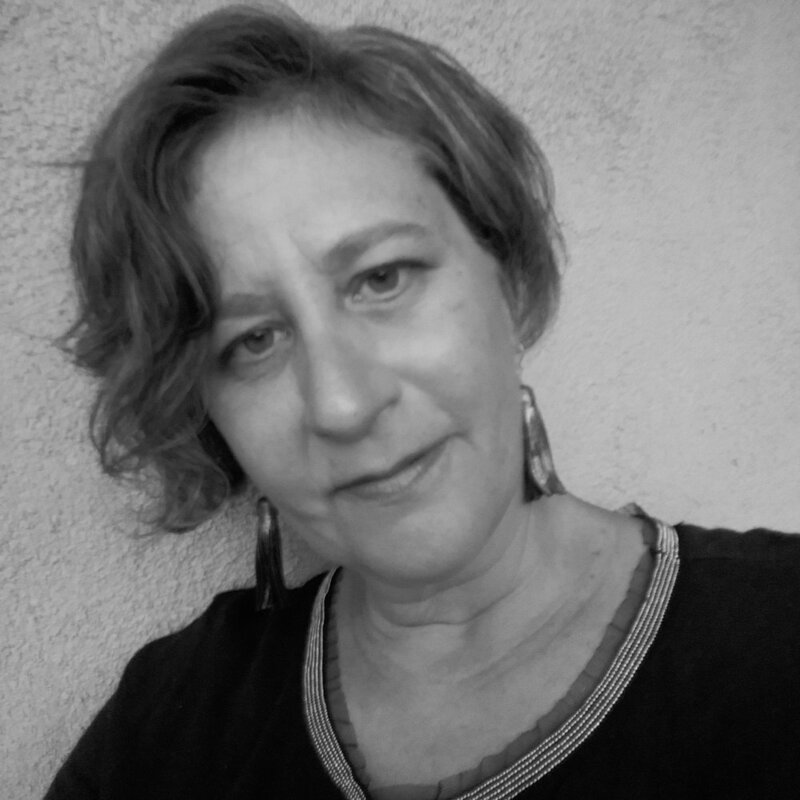 She has created original scores for theater productions (Kore Press, Arizona Repertory Theater) and choreographers and dance filmmakers (Kimi Eisele, Tori Lawrence + Co, Jeremy Moss, New ARTiculations, Kore Press, Katherine Ferrier and Kathy Couch). She was resident musician with compositional improvisation dance artists, The Architects and Tucson’s Movement Salon. Music from her two solo albums, Winter Garden (2006) and Seas & Trees (2009), appears in the Oscar-nominated HBO documentary films, GASLAND (2010) and GASLAND II (2013). Vicki has also toured and recorded with numerous bands nationally and internationally since 2006. 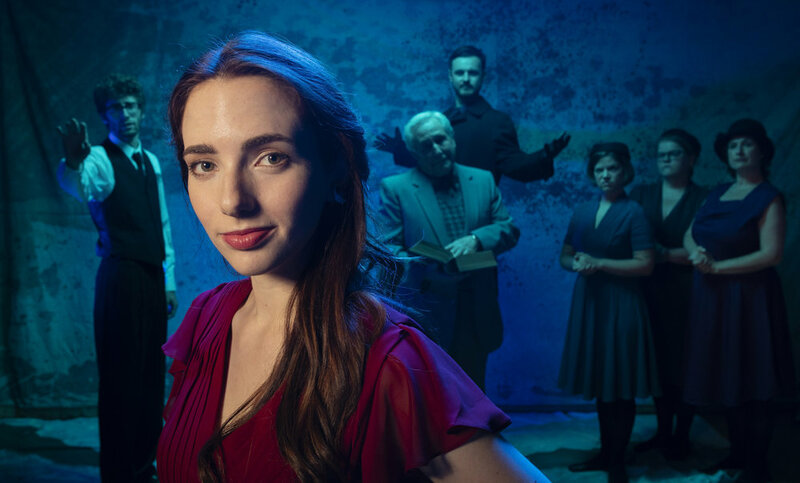 Kate Cannon (Eurydice) graduated from the University of Arizona's BFA Acting program and she studied at Playhouse West with Robert Carnegie, BADA and Powerhouse Theatre Training Program. Favorite roles include Joan in What Every Girl Should Know, Laura in the Glass Menagerie, and Marc Antony in Julius Caesar. She produced and starred in the short film The Good Morrow which screened at the 2016 Playhouse West Film Festival. 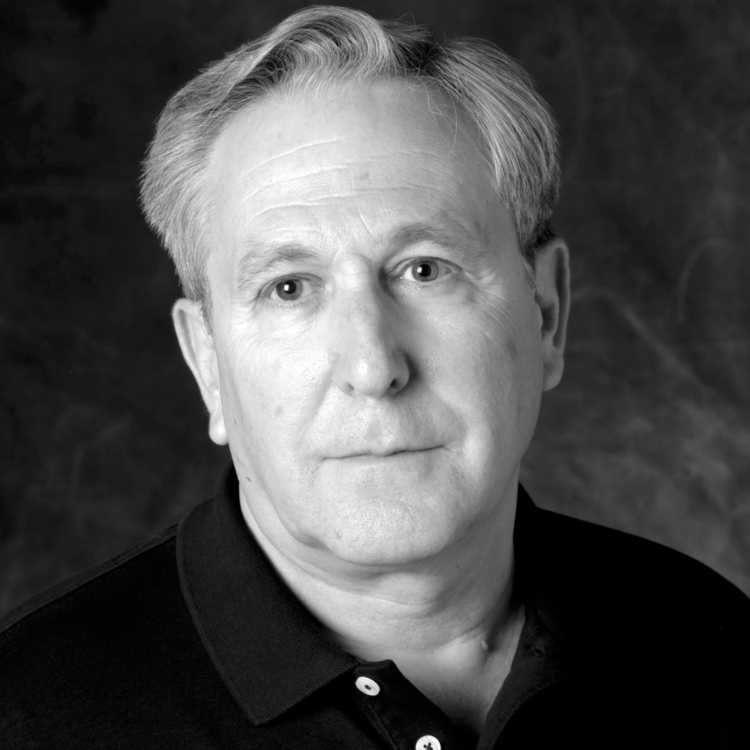 A Professor Emeritus of English at the University of Arizona, Bill Epstein (Her Father) has produced, directed, written, and acted in productions in the U.S. and Britain, on campuses and in community and commercial theaters. He has played leads in mummers' plays, commedia dell'arte, musicals (West Side Story, Bells Are Ringing), comedies (notably, Simon's Plaza Suite, Shaw's Misalliance, Hart’s Light Up the Sky, Rudnick’s I Hate Hamlet, and Chekhov’s The Festivities), and dramas (notably, Pinter's Old Times, Sophocles' Antigone, Levin’s Deathtrap, Gilroy's The Subject Was Roses, Russell's Educating Rita, Mamet's Oleanna and Glengarry Glen Ross, Albee's Who's Afraid of Virginia Woolf?, and Shakespeare's King Lear), as well as supporting roles in Shakespeare (Hamlet, The Taming of the Shrew, Measure for Measure), Brecht, Chekhov, Fo, Genet, Giraudoux, Ruhl, Peter Shaffer, Shaw, Uhry, Wilde, Wilder, and others. In Tucson, he has acted with, among others, Arizona Repertory Theatre, Beowulf Alley Theatre, Borderlands Theatre, Live Theatre Workshop, and The Rogue Theatre. He performed his one-person play, My Life in Sports, for the 2016 United Solo Festival at Theatre Row on 42nd Street in New York City. He has also published articles and books of literary and film scholarship and criticism as well as various works of fiction and creative non-fiction. He has been reviewing theater for the Tucson Sentinel since last year. Adam Denoyer (Orpheus) is an actor, improvisor, and graduate of the University of Arizona. He is thankful to the University for all of the productions he has been cast in: Psycho Beach Party, Tribes, All in the Timing, Nor any Drop to Drink (directed by Claire Mannle), and Endgame. 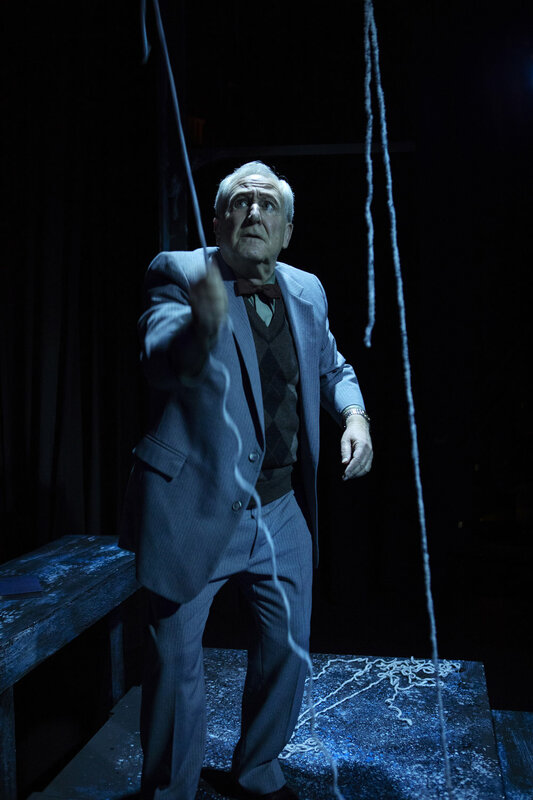 He performed in Cripple of Inishmaan at Live Theatre Workshop and in Dawned, an original piece at the Tucson Fringe Festival that he created with collaborators Ryuto Adamson, and Alex Ross; for which they were awarded Best New Play by the Festival! He was most recently seen at The Scoundrel & Scamp’s production of Mr. Burns, a post-electric play and Lovers. Ryuto Adamson (A Nasty Interesting Man) is a recent graduate from the University of Arizona, with a degree in theatre performance and a minor in business. He has performed in a variety of shows in the Studio Series including Endgame as Hamm, The Three Sisters as the Baron, and Nor any Drop to Drink. He has also performed in the Tucson Fringe Festival in Dawned, which won an award for best local show. 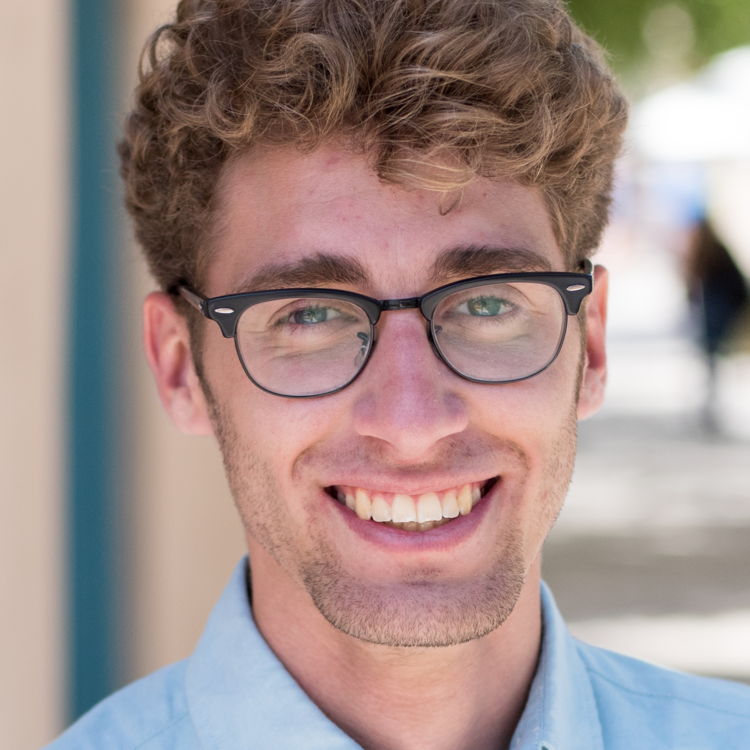 He most recently worked at the S&S Theatre as the Production Assistant/Assistant Director for Mr. Burns, and at the San Diego International Fringe Festival as the Operations Associate. He is planning on creating and performing in another show at the upcoming Tucson Fringe Festival. Gretchen (Big Stone) is very excited to be performing in her first production with Scoundrel and Scamp! For nearly 10 years Gretchen has been acting, directing and writing for Tucson stages. She is a member/playwright with Old Pueblo Playwrights. Two of her plays were featured in the 2018 New Play Festival. She is an improv teacher and performer. She spent 4 years on stage with Not Burnt Out Just Unscrewed and now travels the country with her improv duo Ex-Boyfriend. 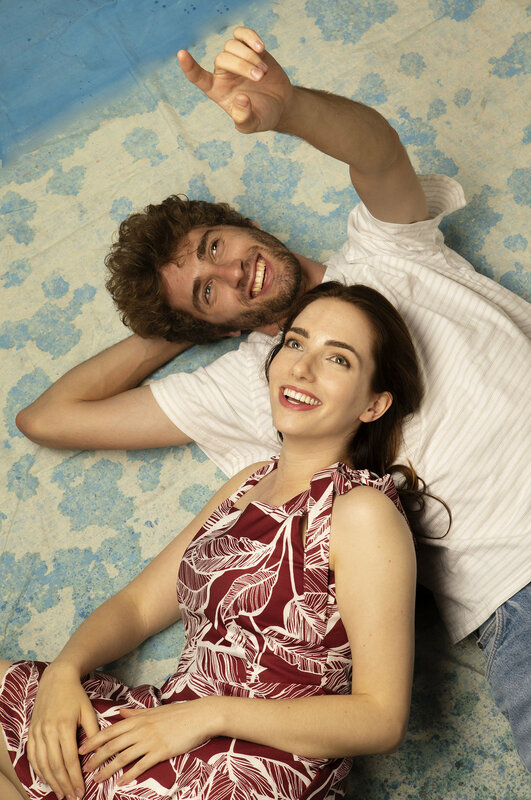 She recently directed An Unkept Secret, a fully-improvised play at Live Theater Workshop and will have another run this September at LTW. She also works with the Tucson Fringe Festival and regularly performs with Musical Mayhem Cabaret and can be seen in LTW's upcoming winter production of Snoopy! The Musical and next spring in Kevin Johnson's production of Hand of God. She wants to thank Claire and S&S for the opportunity to bring the story of Eurydice to life! 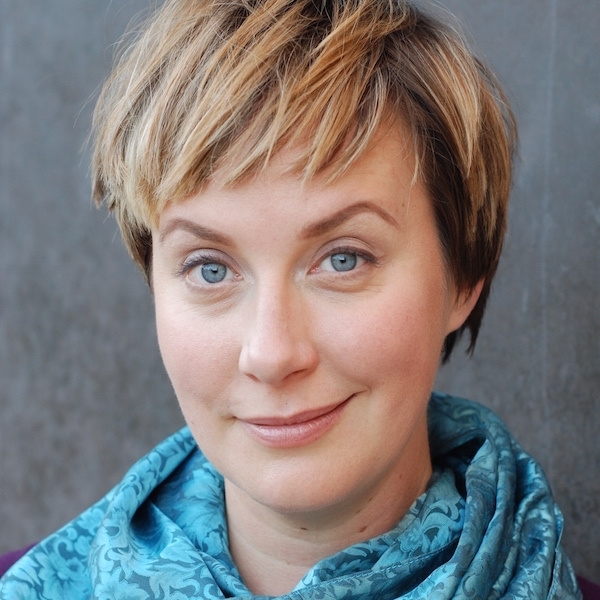 Leah Taylor (Little Stone) holds an MA in Theatre and Performance Studies from Washington University in St. Louis. A Tucson native, she has worked in Tucson's theatre community as an actor, stage manager, assistant director, and dramaturg. Most recently she appeared in The Rogue Theatre's production of Galileo, The Scoundrel & Scamp’s productions of Mr. Burns and A Public Reading of an Unproduced Screenplay About the Death of Walt Disney, and served as Assistant Director for Scoundrel & Scamp's Two Plays for Lost Souls. Julia (Loud Stone) most recently appeared in Mr Burns, a post-electric play at the Scoundrel and Scamp. An East Coast transplant, she has been involved in the performing arts in many capacities over the years, from acting and puppetry to Morris dancing to singing Hildegard von Bingen from the original 12th century notation. She has performed at diverse venues including the Brooklyn Museum of Art, Harvard University, Avery Fisher Hall, and the Philadelphia Fringe Festival. Julia is an Antiques Roadshow junkie and during any spare moment, there's a good chance you'll find her in a thrift store. 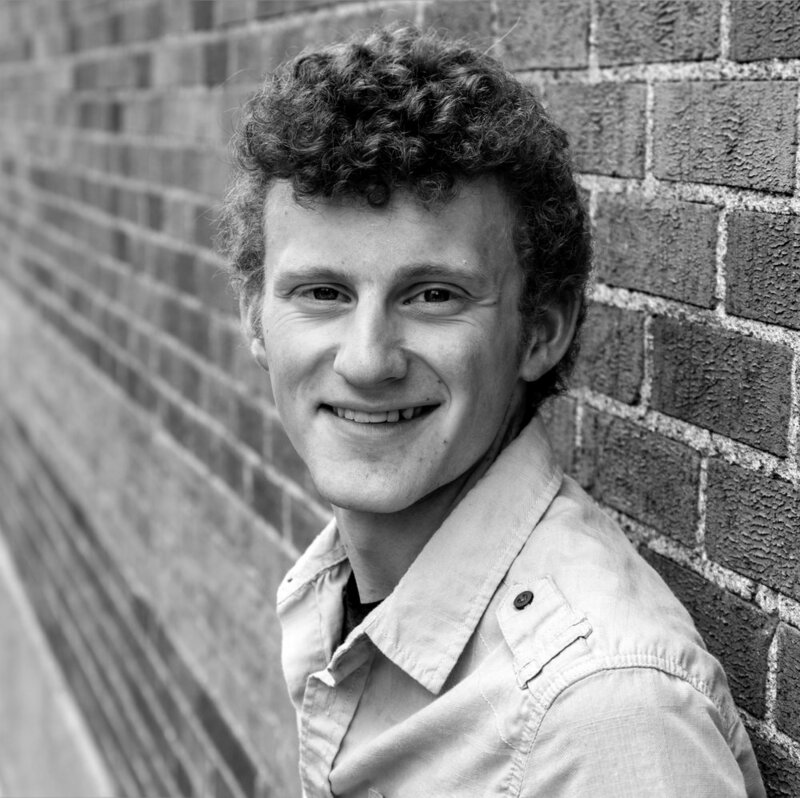 Jason Jamerson (Set & Prop Design) is a third year grad student in Scenic Design at the University of Arizona. He is originally from Virginia, but worked in the New York theatre scene for 12 years before moving to Tucson. Jason taught Scenic Design at Columbia Preparatory School in Manhattan for seven years, has worked with the International Schools' Theatre Association, and has collaborated with several other local organizations, including TEDx Tucson and Live Theatre Workshop. Allison Morones (Costume Designer) is excited to be making her Scoundrel & Scamp debut. During her short time in Tucson, Allison has worked on over ten Arizona Repertory Theatre productions. Some of her favorite costume design credits include the world premier of Atlas’s Equal, Honk, Antigone and the Arizona Department of Child Safety’s public service announcement, Secret Super Hero. Other credits include Merchant of Venice (assistant costume designer), Evita (first hand), Twelfth Night (first hand), A Streetcar Named Desire (stitcher), Addams Family (wardrobe head) and Proof (wardrobe head). Allison received national recognition for her design work on The Kentucky Cycle at the 2015 International Thespian Festival. She currently teaches a costume construction lab at the University of Arizona and will graduate with her BFA in costume design in May of 2019. Tyler Berg (Sound Design Intern) is currently in his third year at The University of Arizona, studying Theatre Production and Design, with an emphasis in Sound. He started his career with Arizona Repertory Theatre as Production Sound Engineer for Tigers Be Still and Assistant Production Sound Engineer for The Addams Family, the musical last fall. With a strong background in music composition and recording engineering, Tyler began working with the Fred Fox School of Music as technical staff in 2017. He has been the audio engineer for hundreds of events, including concerts, shows, conventions, and operas. This past summer, Tyler traveled to Conway, Arkansas to join Arkansas Shakespeare Theatre as the Sound Intern. His work included Assistant Sound Engineer for My Fair Lady and Henry IV, Pt. 1, Sound Engineer for AST’s outdoor show, The Winter’s Tale, and Touring Sound Engineer for Much Ado About Nothing. There, Tyler also became certified in digital audio networking. He plans to return next year as the Sound Engineer for the company. Tyler helped open Arizona Repertory Theatre’s 2018-2019 season with his sound design for Elaine Romero’s comedy Like Heaven. He will also be the Sound Designer for ART’s production of Richard III, opening this spring. 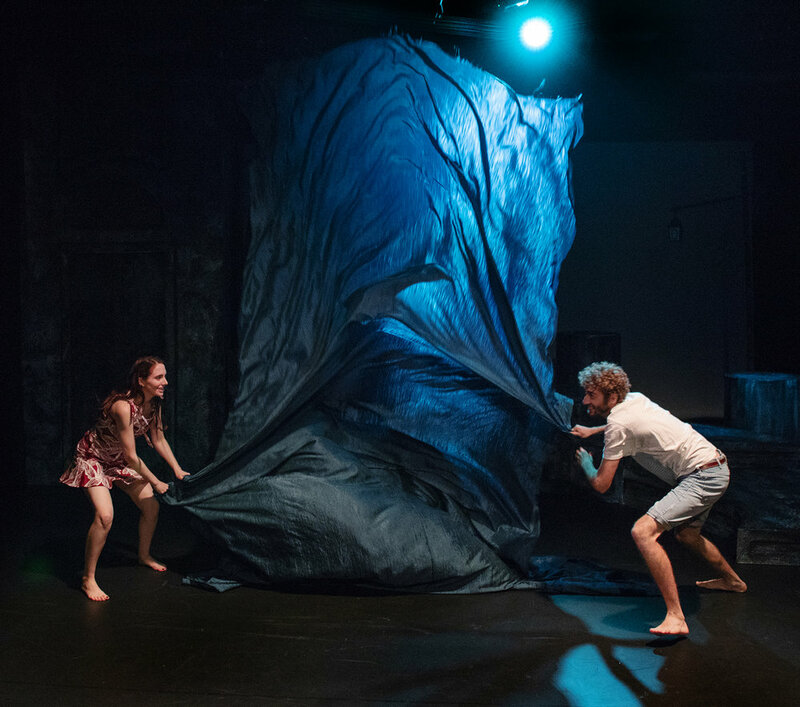 Matt Marcus (Sound Design Supervisor) is delighted to be working on this production of Eurydice. 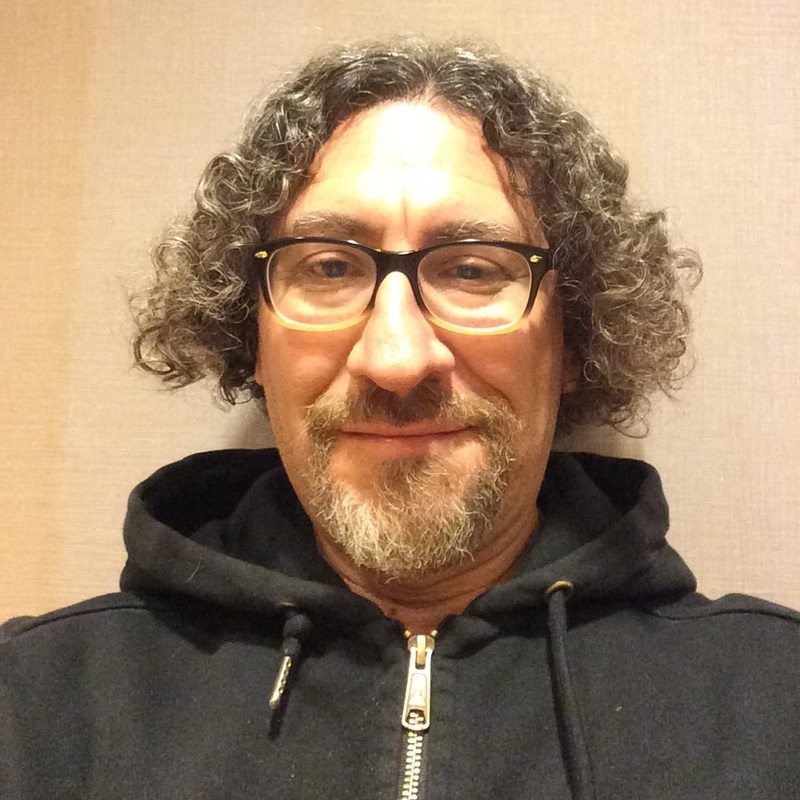 He is the Faculty Sound Designer at the U of AZ School of Theatre where his recent credits include, The Merchant of Venice, The Addams Family, and Evita. Other productions include Love, Sweet Love, a musical featuring the songs of Burt Bacharach and Hal David, along with national tours for Theater League, Theater of the Stars, and Dallas Summer Musicals. On hiatus from his audio career in the late 20th century, Matt was Property Master for Mr. Rogers’ Neighborhood. He is a member of the International Alliance of Theatrical and Stage Employees, and is the President of Local 415. Sara Jackson (Production Assistant) is thrilled to be entering into the directing world with Eurydice. She is a recent theatre/acting graduate of the University of Arizona and the Bennett TheatreLab & Conservatory. Sara also works as a professional photographer and hopes to channel her skills to start her own theatre/production company. Some of Sara's favorite stage roles have been: Doctor Livingstone in Agnes of God, Helena in A Midsummer Night's Dream, and Meg Magrath in Crimes of the Heart. You can see her performing next as Maggie in Cat on a Hot Tin Roof with Roadrunner Theatre. Christopher “Tiffer” Hill (Resident Stage Manager) is excited to be entering his second season with Scoundrel & Scamp. After a brief stint as a vocal performance major at the University of Arizona, he began working as a stagehand at the Gaslight Theatre starting in 2012. He continued working there full-time for the next five and a half years at the pace of at least eight shows a week, eventually stage managing 21 productions including favorites such as Arizona Smith and the Relic of Doom, Spider-Guy, and Ghostblasters! Favorites from S&S’s first season include An Unproduced Screenplay About The Death Of Walt Disney, Mr Burns: a post-electric play, and Oaf. Tiffer also served as lighting designer for the 2018 Tucson Fringe Festival and the 2018 Bennett TheatreLab Festival of Plays. Holly Griffith (Box Office Manager & Artistic Associate) is directing her 2nd production at The Scoundrel & Scamp Theatre, This Girl Laughs, This Girl Cries, This Girl Does Nothing having directed Brian Friel's Lovers this past summer. She also teaches theatre for young people at Scoundrel and acting at the University of Arizona. Holly is a 5th year member of the Acting Ensemble next door at The Rogue Theatre. Favorite productions there include Three Tall Women, Celia, A Slave, A House of Pomegranates, The White Snake, Uncle Vanya, By the Bog of Cats, and Hamlet. Holly holds an MA in English Literature from the University of Arizona, and has a fierce interest in the history, culture, and literary tradition of Ireland. Leigh (Resident House Manager) began her foray into house management in 2009 with The Rogue Theatre and has, at one point or another, filled every front of house roles from baking cookies before the show to sweeping up the crumbs after a performance. She joined The Scoundrel & Scamp team in their 2017 inaugural season and is excited to be a part of the Theatre’s growth. She is an artist for fun, a writer professionally, and a helper compulsively. Leigh is a passionate activist and Tucson enthusiast and enjoys doing the work that make Tucson and the world a better place for everyone. She is a proud pet parent, a planner, and possibly the worst vegan ever. Leigh got a BA in History, with a minor in Linguistics, from the University of Arizona. So far that has mostly garnered her friends and colleagues stories about the War of 1812 they never wanted to hear. Leah Taylor, Gretchen Wirges, Julia Balestracci in Eurydice. Photo by Tim Fuller.